The New Native Garden illustrates how to use native plants as part of a 'designed' garden. By concentrating on style and design concepts such as mass texture, shape and foliage, this book aims to dispel common misconceptions about the 'bush' garden. 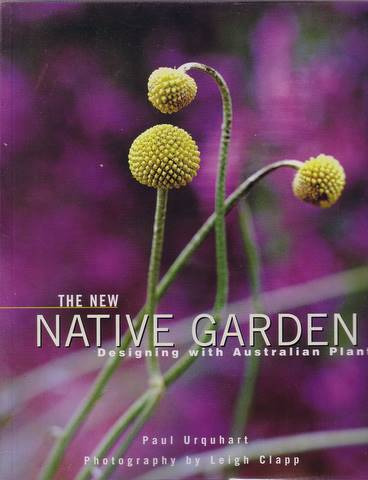 With deltailed illustrations and planting plans, this easy to follow book opens up a whole new world of possibilities for the Australian garden. With its emphasis on design, The New Native Garden shows how Australian plants can be used for formal, courtyard, cottage and international styles but with a truly Australian twist.